I have been working in a private construction company for last 12 years, came directly from India on a project visa. Now I got a good opportunity and the company has already given me the transfer letter. 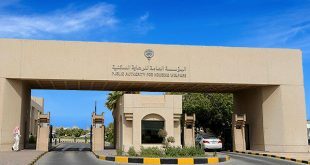 But the new company is unable to transfer the visa, as the Ministry of Social Affairs and Labor has rejected the transfer letter which was submitted about 2 weeks ago. This was my first transfer from project to project visa under another contractor. I am very much worried and… is it possible to transfer my residence locally. Answer: Because of the current very strict restrictions — imposed in January this year — on the transfer of government project visas you can currently only transfer to another government project and not to the private sector. As the government is not, at the moment, keen on relaxing the rules, the only option you have is to cancel your current residence, leave the country and return on a new visa. So try to find another company which has a government project and transfer to that firm.